This is one of the hardest things I have found in all of this journey, to first love myself. I’m not sure why it is so hard as I am the person I can depend on more than anyone else. So I begin this part of the journey, to learn love of self, to revel in my success and to learn from my failings. 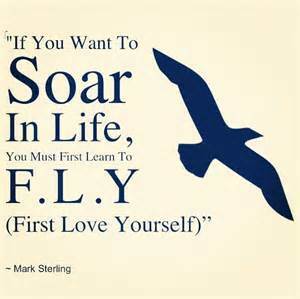 As I start this week and this new approach to self love, I find myself aggitated. Is it because I have been denying this from myself for too long? Is it because I am a stranger to this feeling? Whatever the reason I will continue, I will move forward as I see this as a major step to my freedom. Freedom from what I am learning to release from my past and also the release of the negativity I have had around me. Maybe this is the aggitation. Letting go what was familiar in the effort to find true meaning within myself. Saying good bye is not always easy but when what is around you makes me unhappy it is time to find what does and this is what I am doing. Finding the right path for my life with the person I love, myself. A truly great, fun, and loving person. Self love is food for the soul. Very well said! I’m sure many of us feel the same way. Yes…I started week 5 and 6 on edge and totally agitated but I pulled it all together to realize that it was just my old self wanting to sabotage me because I am starting to control my ego and let my light shine without fear. I am beginning to see everything and everyone around me through goggles of patience and love, including myself. It makes for an extremely liberating feeling! I can relate to your post. Thank you for sharing! Another great post! You share in a very authentic way which is so easy to connect with. Love your insights and thanks for posting.